No vaccinations are required or recommended. There are no endemic diseases. We have great weather year round and it rarely rains. Hurricanes occur rarely. The flag of the Turks and Caicos Islands. The Turks and Caicos Islands is a British Overseas Territory located in the North Atlantic composed of two island groups: the Turks Islands and the Caicos Islands. There are 8 major islands, of which 6 are inhabited. The Turks Islands, located to the east of the archipelago, include Grand Turk (home of the capital Cockburn Town) and Salt Cay. The Caicos Islands are comprised (from west to east) of West Caicos, Providenciales, North Caicos, Middle Caicos, East Caicos, and South Caicos. The majority of the small cays, such as Parrot Cay, Dellis Cay and Little Water Cay, are located amongst the Caicos Islands. Providenciales is home to the majority of the population and most of the development in the country, along with the Providenciales International Airport (PLS), where all international flights arrive. Grand Turk is the second most populated island, seat of the government, and the location of the Grand Turk Cruise Center. The main economy of the country is tourism, with a small but growing financial services sector. The population is 31,458 (2012 census) and total area is 238 mi² (616.3 km²). Our spectacular beaches and pristine marine environment are the defining feature of the country, and are the primary attraction for tourists. There are hundreds of beautiful beaches and coasts across our many islands to discover. 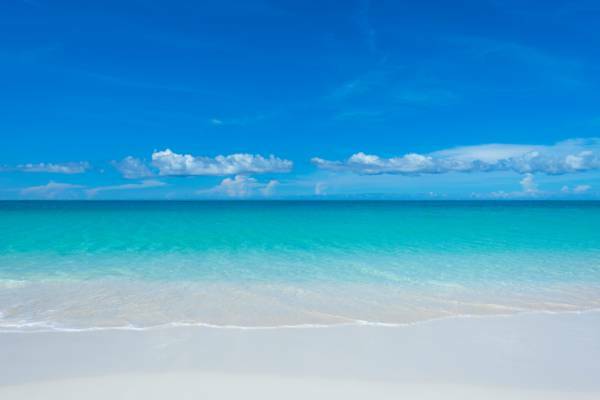 The unrivalled Grace Bay Beach, Providenciales. The Turks and Caicos Islands are located in the North Atlantic between the Bahamas and the Dominican Republic, 575 miles (925 km) south-east of Miami, Florida. Providenciales, the main tourist island, is pronounced 'prov-ah-den-c-a-leez'. There's no 'ch' sound in the name, as many flight attendants say on arrival. 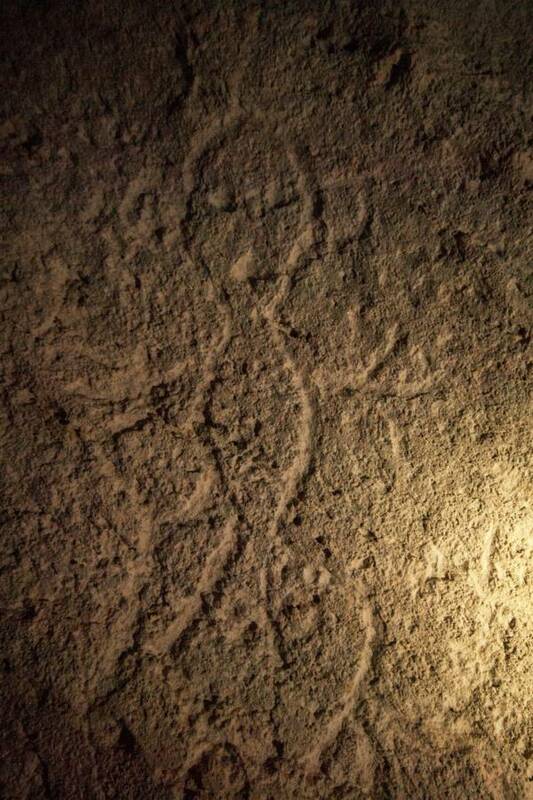 This Taino pictograph was documented by explorer Theodore de Booy in the 1800s, but the whereabouts of this inscription was unknown until it was recently discovered by local writer and photographer Kim Mortimer. The first known inhabitants of the Turks and Caicos were Taino Indians (Amerindians). Little is known about these Tainos, but research suggests that they originally migrated north from the Caribbean around the year 600 AD. Although the islands of Middle Caicos and East Caicos supported some of the largest populations of Tainos in the region, the only known remaining evidence of their existence are a few small artifacts, some cave pictograms, and a limited number of stone mounds. 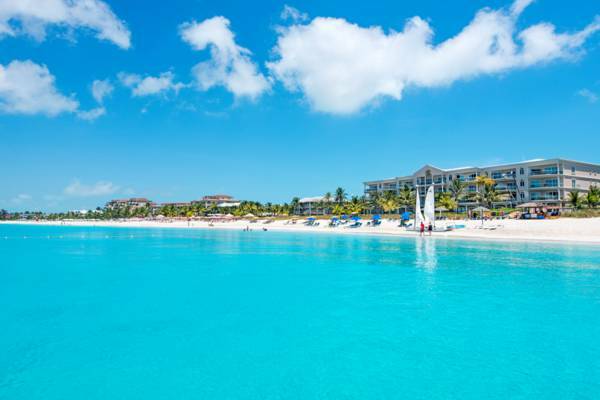 The Turks and Caicos was discovered by Europeans in the late 1400s or start of the 1500s. It’s highly likely that Grand Turk was Christopher Columbus’s initial point of landfall in the New World on his historic 1492 voyage, as accounts made during the voyage match the island far better than the common theory of first landfall on San Salvador in the Bahamas. There is a bit of dispute by historians over which island was the point of landfall, but in any case, it’s certain that Ponce de Leon visited in 1512. Due to diseases brought by Europeans, and Spanish slavers, the Tainos had completely disappeared by the late 1500s. Although visited on and off by Spanish, English and French over the next century, the islands remained deserted and did not see any permanent European settlement until the late 1600s, when British Bermudian salt rakers began to develop the natural shallow salt ponds in the country for sea salt production. It was at this time that Britain established control of the islands, which it has held with only a few brief exceptions to this day. The current luxury tourism industry and boutique real estate industries in the Turks and Caicos began in the 1970s and saw a rapid transformation over two decades, with Providenciales, Parrot Cay, and Pine Cay seeing the construction of resorts such as the Third Turtle Inn, Club Med, the Grace Bay Club Resort, Parrot Cay Resort, and the Meridian Club. 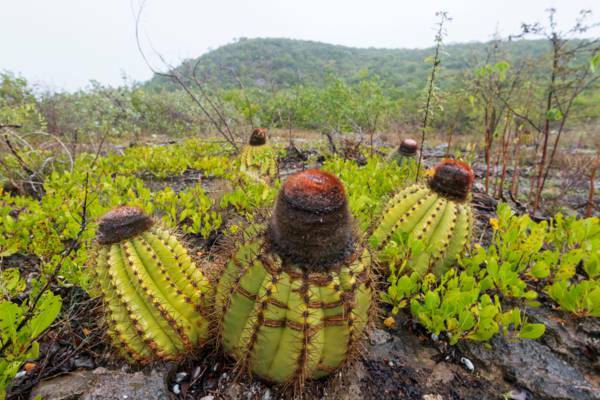 Turks Head Cactuses on East Caicos. It was during the early-1600s when the islands began to be referred to by titles closely resembling the modern Turks and Caicos name. For many centuries previous to the 1800s, Islamic corsairs preyed on vessels in the Mediterranean and off the coasts of Europe and Africa. These raiders were often referred to as “Turks”, and the term went on to become a synonym with pirate. Early map makers combined this with a version of the Lucayan word ‘cayo hico’, meaning string of islands. Together, they served as a warning to avoid the pirate islands. The name is not derived from the Turks head cactus (a small stubby cactus capped with a spiny structure resembling a Turkish Fez hat) which is found on some islands in the country. Between the early-1600s and mid-1700s, piracy was at its height globally and the Turks and Caicos was definitely a hotspot for such activity. Several well-known pirates including “Calico” Jack Rackham, Anne Bonny, Mary Read, Francois l’Olonnais and Captain Dulaien had bases in the islands, as the countless small coves and inlets found around the country proved to be excellent places to hide ships in while waiting for prey. The small island of Parrot Cay between Providenciales and North Caicos was actually previously known as Pirate Cay, due to the buccaneers that used to live there. 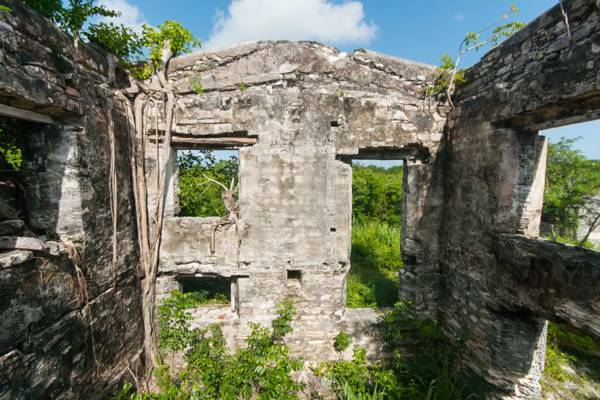 Ruins of Wade's Green Plantation, North Caicos. The salt industry continued to expand well past the end of the American Revolutionary War, after which displaced British Loyalists began to arrive from the newly formed United States. Many of these Loyalists began cotton plantations, and African slaves were brought in from the surrounding regions to work both the plantation fields and the salt ponds. Along with African slaves the British seized and set free from the Spanish in the 1840s, these peoples were the ancestors of most of modern day Turks Islanders. Due to droughts, hurricanes, insects and disease, the plantations began to fail in the first few decades of the 1800s. Sisal (a fibrous plant that was used to make rope) began to be planted and was initially successful, but the small scale of local production of both sisal and salt doomed the industries. The Turks and Caicos saw difficult economic in the times 1900s until about 1985 when the tourism industry began. 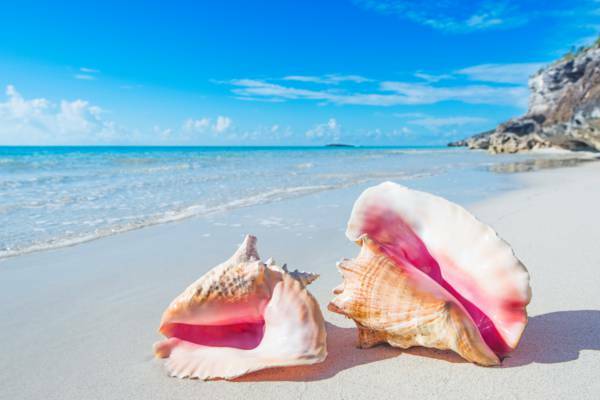 Conch shells can be seen throughout the islands and are a symbol on the flag. Located on Cooper Jack Bay Beach, Providenciales. Geographically speaking, the Turks and Caicos Islands is part of the Bahamas islands chain. There has been a constant movement of people between these two nations and as such they share a similar culture. Conch, a marine snail, was an important part of the local diet and remains popular today. Peas & Rice was a staple in the past, with locally grown pigeon peas and pieces of conch added to imported rice. Conch Fritters and Conch Salad, two popular dishes, are in fact more recent culinary developments. Ripsaw is a local music genre developed during slavery times. It consists of scrapping an instrument, such as a screwdriver, over a saw blade to create a scraping sound. Playing ripsaw is called ‘ripping the saw’. Common accompaniments are the guitar, drums and triangle. Junkanoo, a Bahamian music genre, was brought back to the islands by returning Turks and Caicos Islanders who left to find work in nearby Bahamian islands. The House of Assembly is located directly on Cockburn Town Beach, Grand Turk. Being a British Overseas Territory, the United Kingdom is responsible for external affairs, such as defence. The internal government is locally elected, headed by a locally elected Premier and a Governor appointed by H.M. Queen Elizabeth II. The Turks and Caicos Islands was under Jamaican jurisdiction until 1962, when Jamaica became independent. The governor of the Bahamas oversaw local affairs from 1965 until 1973, when the Bahamas became independent and the Turks and Caicos Islands received their own governor. A new constitution was adopted in 1974, and George Alexander Smith James McCartney became the country’s first Prime Minister (later titled Premier) in 1976. The beautiful waters of Taylor Bay, Providenciales. The climate in the islands is generally hot and dry, with an average yearly temperature of 80° F (26° C). Average rainfall is only 33” (83 cm), with most rain during the months of April - July. Hurricanes season is between August and November, with most activity between end of August and early September. Hurricanes rarely hit the islands, mostly passing north towards the eastern coast of the United States or south through Haiti and the Dominican Republic. 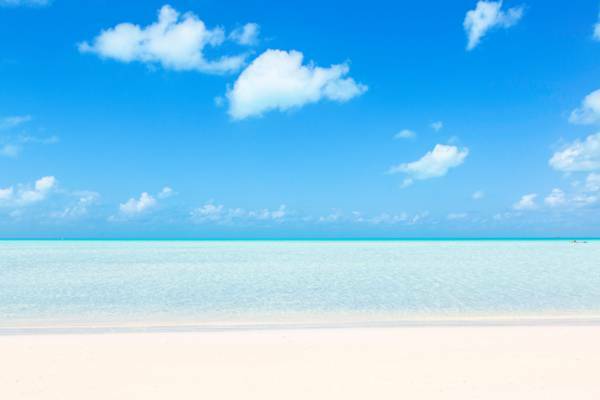 Why Visit the Turks and Caicos? 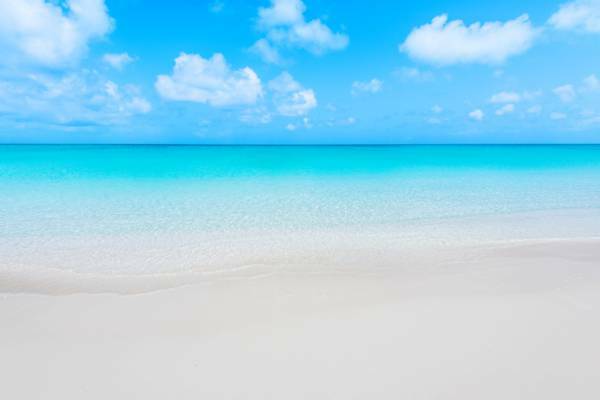 The pristine Grace Bay Beach, Providenciales. Grace Bay Beach on Providenciales is frequently ranked the best beach in the world, having won awards from TripAdvisor, CNN, and Conde Nast Traveller. There are many other unique beaches in the country, such as shallow Sapodilla Bay and Taylor Bay, and excellent snorkelling reefs at the Bight Reef and Smith's Reef. Governor's Beach, located at the Grand Turk Cruise Center, is another excellent beach. 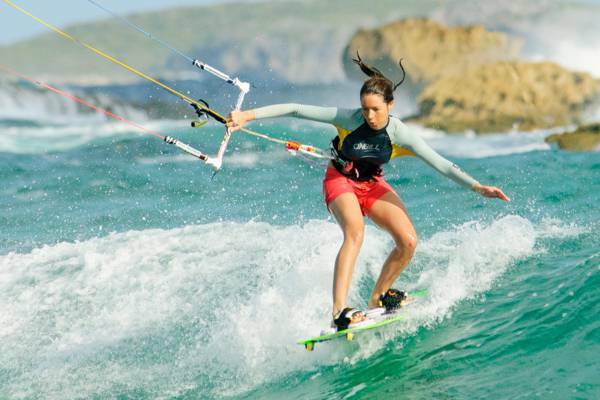 The waters around the islands have become recognized as excellent for a range of watersports, from eco-tourism kayaking in the Caicos Banks to world-class kiteboarding spots on Long Bay. Diving is rated in the top 10 in the Caribbean, and excellent sites are found off West Caicos, Providenciales, Grand Turk and Salt Cay. 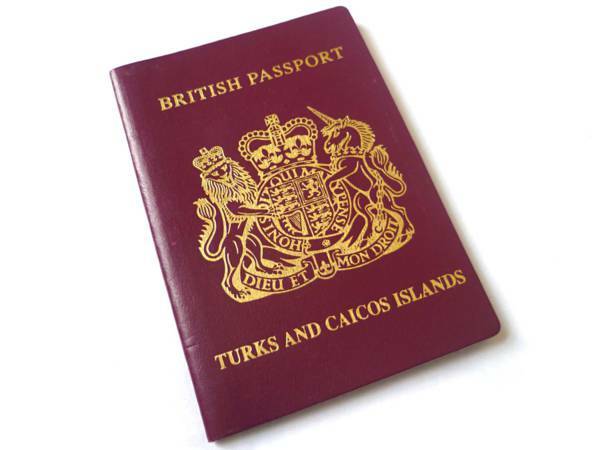 A Turks and Caicos Islands Passport. 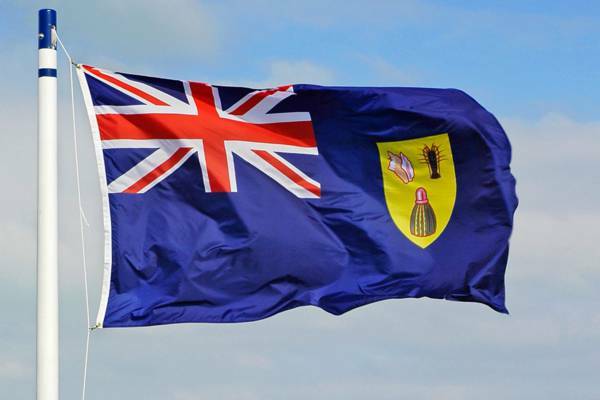 The Turks and Caicos Islands is not a sovereign country, and thus share a common nationality (British Overseas Territories Citizenship) with the 13 other British Overseas Territories. Citizens of the United States, Canada, European Union and many other countries can enter visa-free for 90 days with a valid passport. It may be possible to extend this once for an additional 90 days by visiting an immigration office on Providenciales or Grand Turk. English is the official language of the Turks and Caicos Islands. Haitian and Dominican immigrants speak Haitian Creole (a French-derived) and Spanish, respectively. The US Dollar is the only accepted currency in the islands. If you are coming from a country that uses a currency other than the US Dollar, be sure to exchange your currency before you arrive. The only way you can exchange currency here is through the local banks, and they charge exorbitant rates that will take a bite out of your vacation budget. In addition, queues can run into hours for service. There is no Bureau de Change at the Providenciales International Airport (PLS). ATM’s are easily found on Providenciales. Other islands may only have one ATM. Many local businesses and restaurants accept credit cards. Foreign cards will be charged a forex conversion fee (determined by their issuing bank). 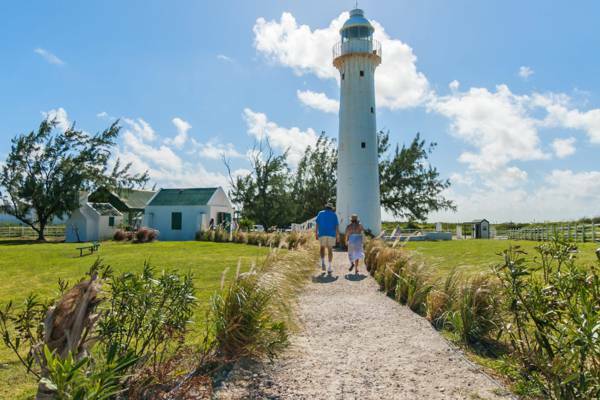 The Grand Turk Lighthouse, which was constructed in 1852 with pieces prefabricated in England. There are three major banks: Scotiabank, Royal Bank of Canada, and FirstCaribbean. First Caribbean offers Visa ABMs and Scotiabank is on the Cirrus (MasterCard) network. If you require teller service, be prepared to wait as local banks often have huge lines, and you may easily wait over an hour for service. The Turks and Caicos Islands uses 120v, 60Hz electricity and U.S. style power plugs. No adapters or converters are needed for American visitors. If you're coming from a country outside of North America, or parts of South America and the Caribbean, you'll need a plug adapter. You should purchase this before you arrive, as they can be difficult to locate on the island. In addition, other than North American and a few South American countries, almost all other countries use 220-240 volt electricity. Most technology products have adapters that can work with 110-240 power, 50/60 Hz. You simply need an inexpensive US style adapter plug. Other 220/240 volt devices, such as irons and hair dryers, cannot be used, and you would need a much more expensive voltage converter in addition to a simple plug adapter. The Turks and Caicos Islands uses Atlantic Standard Time (AST, GMT-4), the same as New York during Daylight Savings Time. We don't observe Daylight Savings Time. 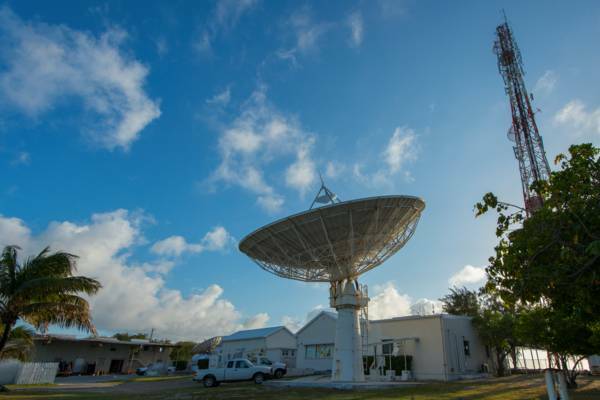 An Intelsat satellite ground station located in Cockburn Town, Grand Turk. The Turks and Caicos Islands uses the GSM standard, on frequencies 850/900/1800/1900Mhz, and also the CDMA standard. There are two local mobile telecommunications companies: Flow and Digicel. GSM customers can roam on any of the island’s networks. CDMA customers may roam on Flow’s network, but availability varies based on phone model and your contract. If you expect to make a large amount of local calls or regional calls to other Caribbean countries, you may want to consider purchasing a local SIM card, as this will usually be far cheaper than roaming with your existing provider. Please note that in order to change SIM cards, you will need to have a phone that is 'unlocked'. 4G mobile internet is available from all local mobile service providers. WiFi is available from most hotels and resorts and also at many cafés. Professional kiteboarder Hope LeVin at Mudjin Harbour, Middle Caicos. WIV4 is the main local new station on channel 4. PTV8 (People's Television, channel 8) provides an alternative news channel. Most other programming is from the United States and includes all major stations. There are several local FM radio stations. Spanish-language AM broadcasts from the Dominican Republic can also be found. The official government station, Radio Turks and Caicos, is found at 107.7 FM. In the unlikely event of a hurricane, this is the station to tune into for bulletins. All inhabited islands have a post office. Postal service to and from the islands can be a bit slow. There is no delivery of postal mail, as people simply collect their mail at their local (island-based) post office. There are local branches of FedEx, DHL and UPS on Providenciales and Grand Turk. The Turks and Caicos Islands do not use a zip or postal code. The postal code 'TKCA 1ZZ' (in the format for the UK) exists, but is rarely used and is not required. 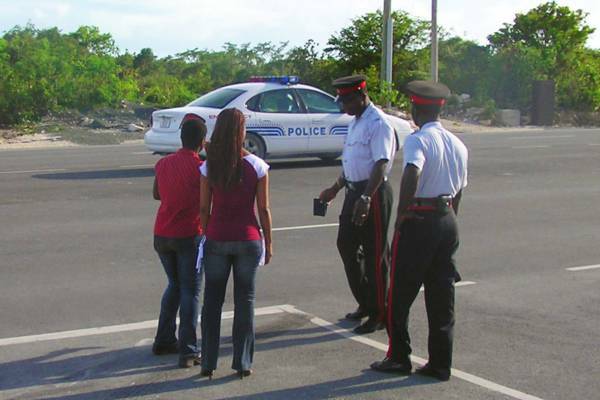 Officers from the Royal Turks and Caicos Islands Police Force at the scene of an auto accident. The Turks and Caicos Islands has one of the lowest rates of crime in the Caribbean, but crime is high compared with the United States. You are advised against travelling down deserted roads or walking outside of tourist areas at night. The drinking age in the Turks and Caicos Islands is 18. Patrons appearing under 21 will be asked to show ID. Drugs are strictly prohibited, including marijuana. If it's illegal in the United States or the United Kingdom, it's probably illegal in the Turks and Caicos Islands. Firearms and other types of weapons are strictly controlled and possession requires a permit. There are mandatory minimum sentences for possession of firearms without a licence. New hospitals were constructed in 2010 on Providenciales and Grand Turk which have expanded the care facilities available. Other islands have small clinics, and Providenciales also has other specialists, such as dentists and optometrists. Serious emergencies are often stabilised locally and then flown to Miami, Florida via air ambulance. There are no endemic diseases in the islands, and the WHO and CDC do not advise any mandatory vaccinations before visiting. A few poisonous plants exist, including Coral Sumac and Rosary Pea. These are generally only encountered if venturing into the wild. Snorkellers and divers should be aware of Lionfish, which have the ability to sting and in rare cases paralyse humans. The United States, Haiti and Jamaica are the only countries with diplomatic representation in the Turks and Caicos Islands. All other countries are represented by their embassies located in other countries, usually the Bahamas or Jamaica. There are several international flights a day from several major North American cities, including New York, Toronto, Boston, Charlotte, Chicago, Atlanta and Miami. The only trans-Atlantic flight is a weekly British Airways flight on Sunday from London Heathrow Airport (LHR). All international flights arrive at the Providenciales International Airport (PLS). An oceanliner at the Grand Turk Cruise Center. 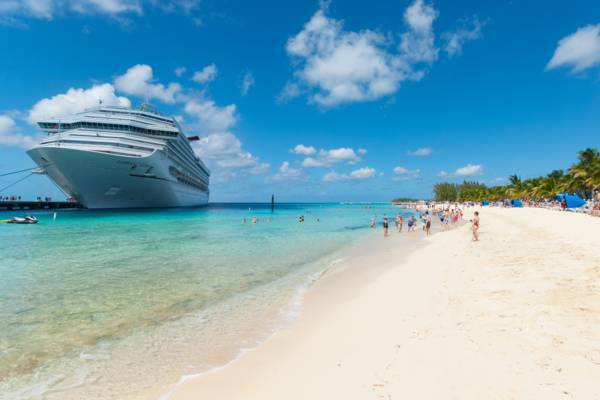 Carnival Cruises operates several Caribbean cruises which make stops at the Grand Turk Cruise Center. Layover time ranges from 5-7 hours, which leaves plenty of time to explore the historic sights of Grand Turk, visit the stingray sanctuary at Gibbs Cay, or participate in other water sports such as diving or snorkelling. 1 quart (1.136 liters) of alcohol. 200 cigarettes, 100 cigarillos, 50 cigars or 8 ounces (220 grammes) of tobacco. $200 of dutiable gifts that will remain in the islands. 'Reasonable' amount of personal goods. All prescription drugs must be accompanied by a doctor's prescription. It is advised to keep all medication in original packaging to avoid confusion and questioning at ports of entry. The importation of firearms and other weapons is strictly prohibited without written permission from the commissioner of police. It has become more difficult to travel with pets since the passage of new laws. You are required to obtain permission at least one week prior to arrival in the islands. You must complete the required forms, pay the fee, and provide the relevant veterinary health certificates in order to receive a permit. In addition, several breeds of dogs are prohibited. There are no bus services or other public transportation on any of the islands. 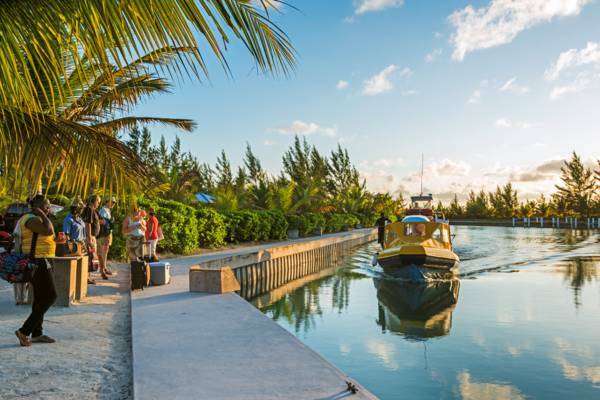 Many hotels and resorts offer complimentary airport pickup, and taxis are also readily available at the Providenciales International Airport (PLS). Most tourists are advised to rent a car for their stay, unless they plan to spend most of their time at their resort. 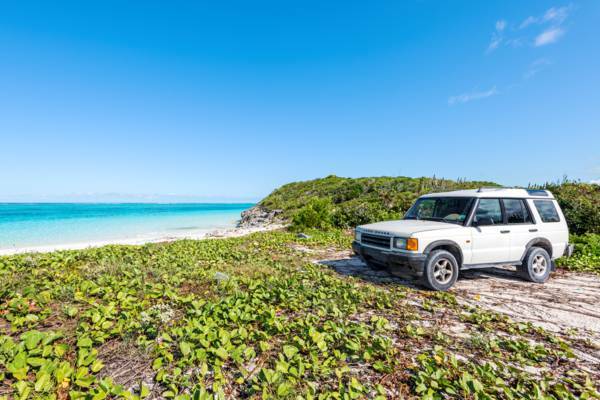 A Land Rover Discovery at Pumpkin Bluff, North Caicos. We drive on the left, as in the United Kingdom. However, the majority of vehicles on the roads (including buses and shuttles) are imported from the United States, with steering on the left (i.e. the ‘wrong’ side). The driving level of many people on local roads is poor. You are advised to give other drivers plenty of space and also be prepared for sudden, unexpected stops. You may need an International Driver’s Permit if your licence is not in English. Minimum age for renting a car is usually 23 and 18 for scooters. Taxis are readily abundant on Providenciales and Grand Turk. On the other islands, such as North Caicos, Middle Caicos, South Caicos, and Salt Cay, taxis are not readily available. Fares are very high by most standards. If you are staying for several days, it’s advised that you rent a car. It’s also advised that you negotiate your taxi fare before entering the taxi. The Providenciales - North Caicos ferry arriving at Sandy Point Marina, North Caicos. There is a regular ferry service to North Caicos and Middle Caicos (which are connected via a causeway), and also South Caicos. There are also regular scheduled flights to Grand Turk and Salt Cay. Fares for the ferries are reasonable. Flights are expensive, considering the short distance travelled. Providenciales has a range of accommodation, including the only all-inclusive resorts in the country. Other islands have hotels and villas, but lack luxury resorts. Resorts on Grace Bay Beach, Providenciales. Providenciales has a wide selection of hotels and resorts, many of which are located directly on world-famous Grace Bay Beach. Grand Turk has a few resorts, many of which offer dive packages. All other islands have both catered and non-catered villas or small hotels. Beaches Turks and Caicos (part of the Sandals Group) and Club Med are the two most popular all-inclusive resorts, both located on Providenciales. Vacation rental villas are a popular choice and available on all of the inhabited islands. For islands such as Salt Cay, villas are the only accommodation choice. There is a wide price range available, ranging from $100 a night to well over $8,000 a week. It is not popular to camp or backpack throughout the islands. There are no designated camping areas and a lack of public facilities, such as showers or toilets. The Turks and Caicos Islands lacks budget accommodation, lacking for example youth hostels. Less expensive flat shares and rooms can be found on sites such as AirBnB or VRBO. Souvenirs at the Salt House, Grand Turk. There is not a wide range of shopping available on the islands, with the exception of jewellery and tourist souvenirs. 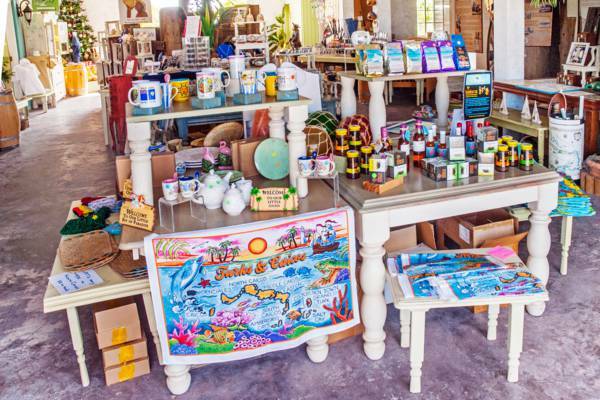 Providenciales has the widest range, although Grand Turk has several excellent gifts shops which sell locally produced souvenirs and products, such as bath salts and soaps. Souvenirs are the typical price range for the Caribbean, such as around $20 for a t-shirt or $10 for a souvenir coffee mug. Prices for groceries and other goods are high compared to the United States.